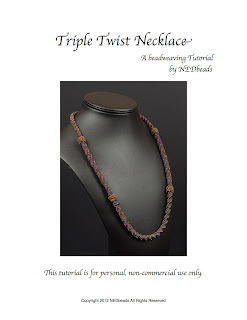 NEDbeads: Triple Twist Tutorial Is Here! Thank you so much, Jin!! Lots n lots n lots of love to you!! It's funny to me what you consider to be a "long delay", Nancy... 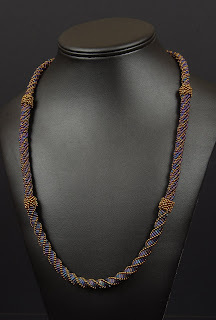 I'll be popping over to your Etsy shop to buy Triple Twist later today, and am definitely looking forward to your new design as well. Meanwhile, I'm happily working away at Labyrinth #3! Thanks so much, I'm very happy. Your designs are beautiful and I am thrilled to have this tutorial. I'm so glad you're pleased! I hope you have fun with it, Judy! I found you through Eva Maria, and I love your work! 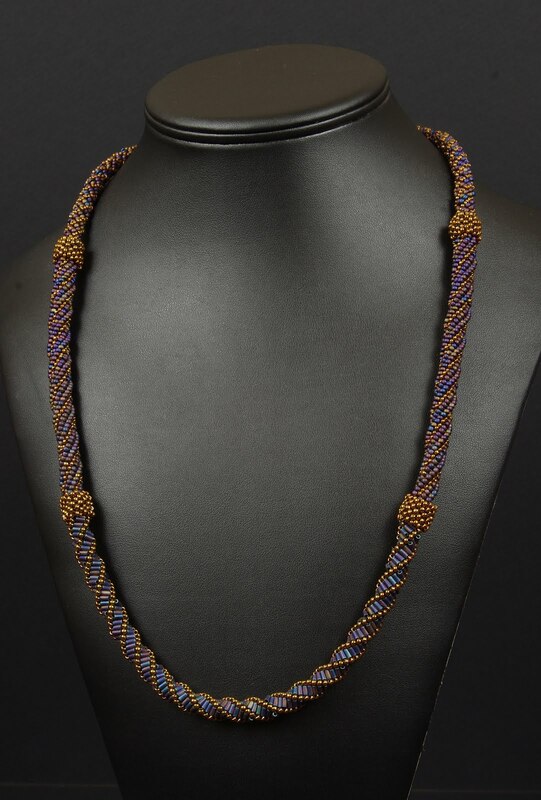 Congratulations on one of your necklaces being featured in the Lark book. It's stunning. Bravo Nancy! I love that your pup gets to participate. You are an inspiration as always! Beautiful every one is a piece of art. Looking at them make you dream with beautiful things and nature. God bless your hands and talent.